Tom Thibodeau is back and ready to ruin another franchise. I am a bit late to the party, but I just had to chime in with the news that the Timberwolves decided that they wanted to be the next franchise that ThomASS will end up ruining. I am not sure if other franchises see what goes on in Chicago with our sports teams, because once teams here fire someone, another team is just waiting in line to give them a job. We’ve seen it with the likes of Lovie Smith and Marc Trestman. Does anybody else learn? If it doesn’t work here, it probably won’t work somewhere else. I can just see it happening right now. It’s not a matter of if, but when, injuries will pile up for the Timberwolves. I don’t know many people are fans of that team, but I feel bad for them. The Timberwolves have three up and coming starts in Zach Levine, Andrew Wiggins and Karl Anthony-Towns. I believe Anthony-Towns would have been a top-ten player in the NBA but now, not likely. ThomASS will drive all three of those guys and others into the ground. We’ve seen it here. I have never really been a Joakim Noah fan, but his career was toast before ThomASS came into the fold. Now, he’s more than finished. And do we really have to go in-depth with Derrick Rose? The guy was an idiot before all of the injuries but now, he’s damaged goods. He will be forever known as Grant Hill, minus the brain. 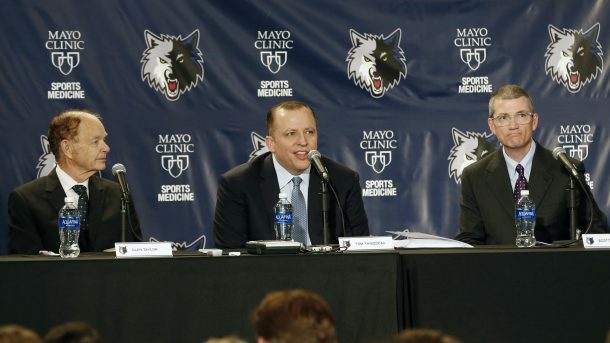 Minnesota, Tom Thibodeau is all yours. Enjoy being like the Bulls for the next decade: Irrelevant. What do the Bears need to do first this Thursday? Since the Blackhawks are now done, we need to quickly shift gears to football. The Bears are on the clock this Thursday with the 11th pick. This year, the Bears have nine draft picks, which is quite a bit. With those many picks, there are zero excuses to not find someone who can help right away. I know it’s the NFL and there are hit and misses, the Bears need to hit big this year. I have a poll set up below for what you feel the Bears need to do first. Feel free to add your thoughts in the comments’ section. The Blackhawks are once again, facing elimination. I knew this was going to be a tough series but the way the Blackhawks are losing these games is just amazing. The first game, it’s a deflection off of Trevor vanRiemsdyk. The third game, more deflections that result in goals. This last game, it’s the Blackhawks committing penalties and resulting in goals. Nobody expected this to be easy. I’ve said this many times over these last few years that the hardest thing to do in sports is winning the Stanley Cup. Doing it again the following year seems to be above and beyond that. It’s frustrating to see how the Blackhawks have been playing. And their frustrations are showing on the ice with guys like Corey Crawford and Andrew Shaw trying to fire up the team and fans by fighting. It obviously didn’t work in Game 4. So, here we are with the Blackhawks down 3-1. They’ve came back before. We’ve all seen it. All of the other teams I cheer for in sports, once they are down, it’s over. Not the Blackhawks. They’ve proved over and over again that nothing is for sure. It’s too late to complain about what has went wrong with this team all season and in this series. I am just sitting here praying to God that the Blackhawks win three in a row and advance to the second round. Some say the Cubs are the BEST team in baseball! This could be the year!!! 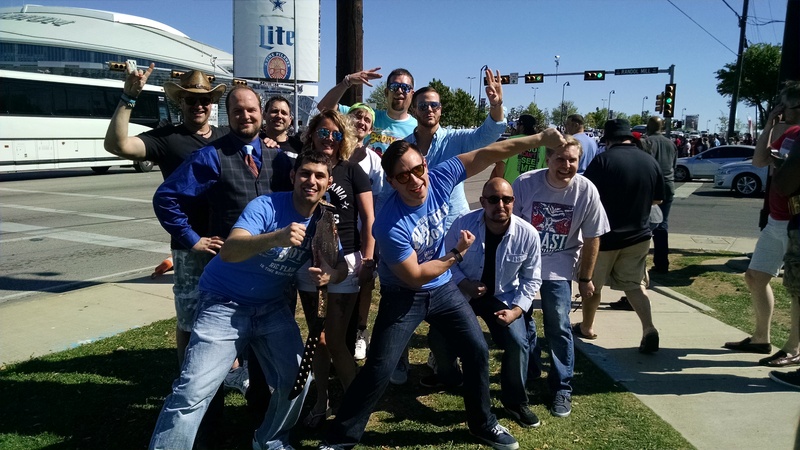 The crew – Three years of attending Wrestlemania with these folks. Well, I’ve arrived back to town. I went from sunny and 85 degrees to cloudy and snowy, 34 in Chicagoland. But, it’s great to be back home. 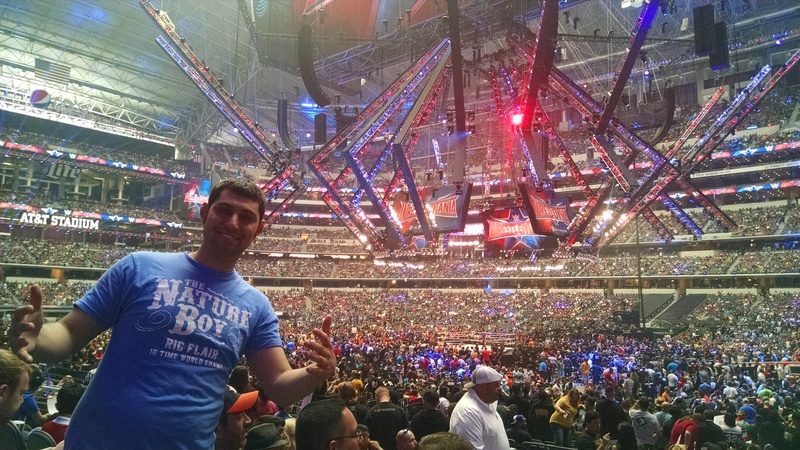 Wrestlemania was fun, as always. Many folks who watched it on TV said it wasn’t that great. I’ll have to watch it later. I’ve met so many great folks over the weekend. 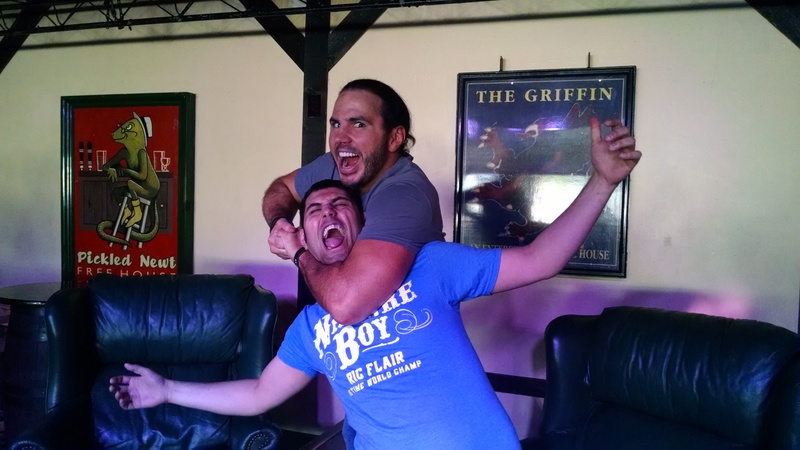 First, I want to give thanks the Justin LaBar and Josh Isenberg of WrestleZone for organizing another get-together. They’ve done this I believe, seven years in a row but this was my third one with those guys. It was a great time. How cool is that? 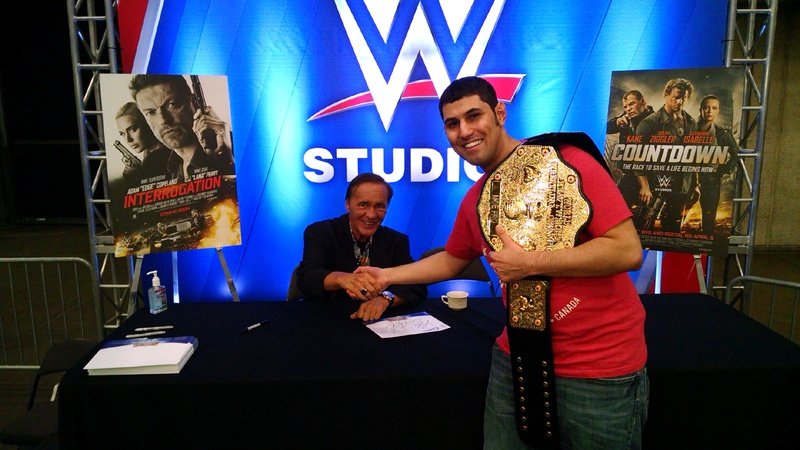 I was also lucky enough to meet the living legend, Larry Zbyszko and Matt Hardy. 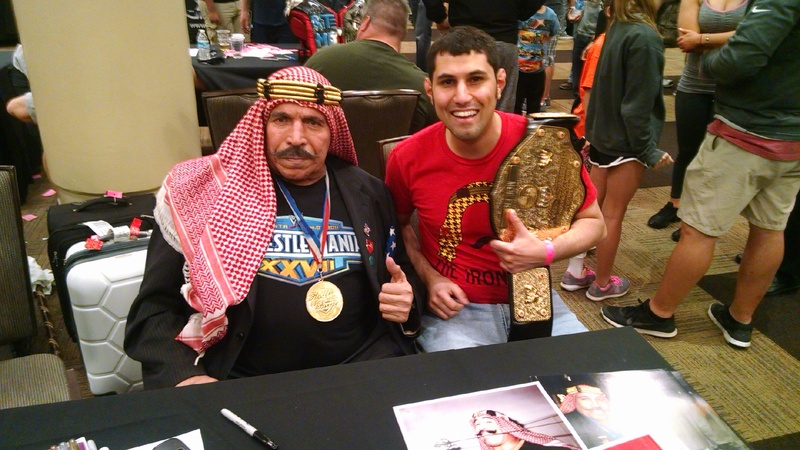 Those two guys were very excited to be apart of the weekend and very genuine individuals. Here are some pictures of that as well as some from Sunday. Enjoy. You are currently browsing the Fire Matt Nagy - - - Fire Ryan Pace blog archives for April, 2016.